We communications professionals look forward to developing and executing social media strategies for high-profile campus events. At Drake University in Des Moines, Iowa, events don’t get much bigger than the Drake Relays, a track-and-field experience that touches all of the university’s key audiences in very real and very different ways. Alumni flock to campus for the festivities, including reunions; local sports fans fill the stadium to see the world’s best track-and-field athletes; and even prospective students pay attention to events like Street Painting. (1) Collaboration is key to promoting an event that spans more than one office. At Drake, the relays involve the organizational and marketing efforts of our marketing and communications office, athletics department and alumni relations office. We share a common audience in the Drake Relays and can do much to benefit each other. 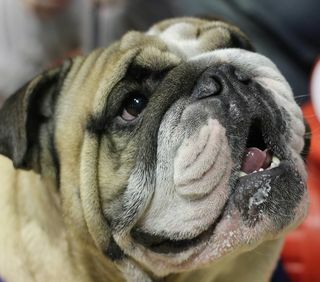 The week of the track meet, which draws more than 40,000 attendees to Drake Stadium, doubles as an unofficial student homecoming, a centerpiece for major alumni reunions and a draw for community events such as a parade, an indoor pole-vaulting competition and the world-famous Beautiful Bulldog Contest. (2) Partnership is only achieved through a clearly communicated shared vision and goals. Before a social media plan took shape, our alumni office held meetings with the athletics and marketing teams to establish a shared vision for a “Relays Week.” For the first time, that vision intentionally encompassed everything that occurs in and out of Drake Stadium. The meetings resulted in a community website, the first visible sign of our new collaboration and a major step forward for Relays fans’ online experience. From there, the marketing staff drafted a social media plan that advanced three primary goals and a series of tactical objectives. The work of a few minds set the basis for productive conversation while a team of 10 staff members worked through the details. (3) Streamlining communications is also key. In the past, we’ve promoted the relays through at least four Twitter accounts (@DrakeRelays, @DrakeUniversity, @DrakeAlumni and @DUBulldogs), but this year @DrakeRelays is the focal point. We have gained a lot of positive engagement by following Relays athletes and fans who mention our event; they often follow back and keep in touch. We also created an official Facebook page for the relays, and a Facebook event with nearly 1,200 invitees. We are sharing the most important and engaging content via those “main” feeds. Content specific to one sub-audience (such as alumni-only news) still gets promoted via audience-specific pages/feeds rather than the official Relays outlet. (4) Institutions need to lay a foundation of content. After setting initial social media and content strategies, we created a shared account on Hootsuite that we can use to schedule tweets in advance. Ticket information, event times, parking details and other logistics are set to broadcast at varying intervals between now and the end of Drake Relays—giving us the freedom to work on fun and engaging content like trivia contests, photo galleries and videos. We built up the Facebook page by using the new Timeline functionality to enter dozens of historic milestones from Drake Relays’ history. The page is no longer just a bulletin board, but also a valuable archive—a sort of digital museum. We intend to provide a place for fans to explore, learn and build friendships. (5) Teamwork fosters creativity and experimentation. This year, we’ll try our hand at Foursquare and Pinterest—neither of which we’ve used for event promotion. We created a Relays profile on Foursquare with event venues, attractions, parking lots and plenty of tips, photos and lists with the goal of helping fans navigate the Relays via mobile devices. Our Pinterest presence is a collaborative pin board on the Drake University profile. This year’s experience with these platforms will help inform our strategy for 2013. (6) Don’t forget to promote social media via traditional media. While we’re hard at work curating web and social content, we need to remember that our audience doesn’t live online. Traditional media promotion is critical to awareness-raising in any social media campaign. Make sure to use hashtags, URLs and icons in print advertisements, banners, sandwich boards and other tangibles as appropriate. (7) Social media feels like a sprint, but it’s really a marathon. Set a reasonable pace and keep at it. Push through obstacles. Build your audience (and skills) over time to reach the finish line—or, at least, to accomplish your objectives. Aaron Jaco is digital media specialist in the Office of Marketing & Communications at Drake University. Paul Kirk is assistant athletic director for media relations in Drake’s Athletics Department. Holly Worthy is assistant director of Drake’s Office of Alumni Relations, where she specializes in digital media. This is truly great advice for anyone interested in increasing their Twitter followers and other social media platforms. While it might seem like everyone is scrambling to boost their social media in order to remain relevant to culture, it really is more of a marathon. Those who remain dedicated to boosting their social media will remain current in the long run. Thanks for the piece!